Buy this and your school gets €12.04 to spend on books Orders of €10 or more will earn 25% of your order value back in Scholastic Rewards for your school. Handa puts seven different fruits in a basket to take to her friend Akeyo. There’s a yummy guava, a tasty banana, an orange, a mango, a pineapple, an avocado and a passion fruit. But her walk takes her past lots of cheeky animals who have their eyes on the yummy fruit… and when Handa finally takes the basket off her head to present the fruits to Akeyo, she gets the surprise of her life! 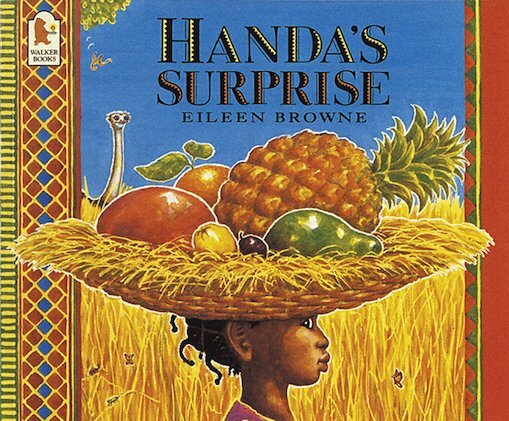 Six copies of this classic children’s book to accompany Read & Respond: Handa’s Surprise.